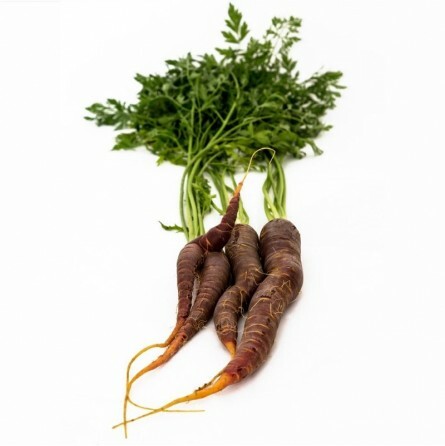 Good, unusual and healthy .. the purple carrot has excellent quality anti-inflammatory and helps to correct the damage caused by a period of debauchery food. The colorful carrots are an innovative product to the market for fresh consumption and for years used. In particular are used for the extraction of the juice and the production of flour used in the food and pharmaceutical industry as natural colorants because of the anthocyanins content. Anthocyanins are flavonoids, a group of compounds that stimulate the immune system, helping prevent the formation of cancer and cardiovascular disease. The carrot colored often contains high levels of lutein. Lutein protects the retina of the eyes from the harmful effects of sunlight. Lutein is a carotenoid which is expected to prevent the development of cancer and cardiovascular disease. It also usually a structure rich in fiber which provides a good flavor and is also helpful for digestion. Buon prodotto e arrivato in ottime condizioni. Ho assaggiato queste carote per la prima volta e ne sono rimasta molto soddisfatta! Non le avevo mai peovate. Gustosissime. Begli esemplari per fare fiori commestibili colorati: perfette.